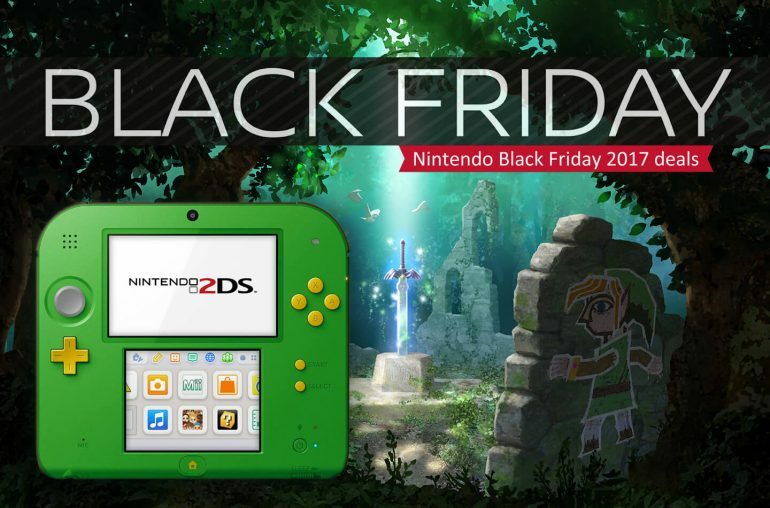 Nintendo offers a variety of Black Friday deals, including Nintendo 2DS game bundles with Legend of Zelda and Mario. Only two weeks to go before Black Friday 2017 kicks off. On the day after Thanksgiving Day major retailers give crazy discounts on all kinds of goods, including consumer electronics. Black Friday and Cyber Monday is also the beginning of the Christmas shopping season. One of the retailers offering a variety of products to make holiday shopping more fun is Nintendo. The Nintendo Black Friday deals include two items for people of all ages to get in on the fun and adventure of The Legend of Zelda series this holiday season. 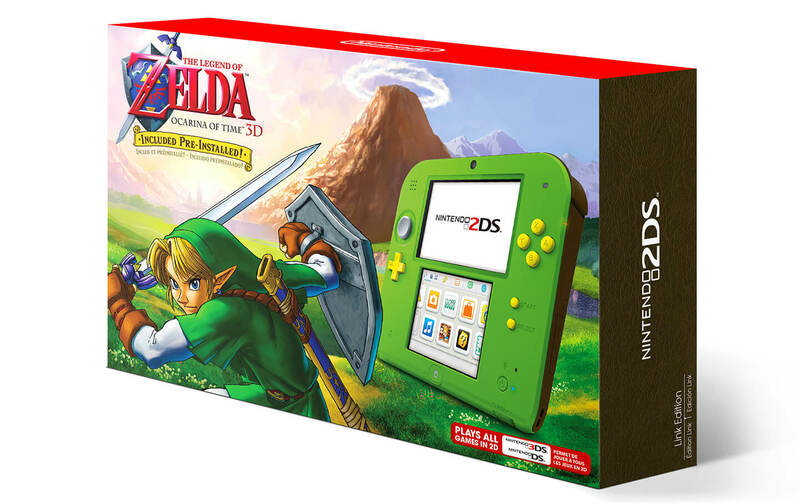 The first is a Link green Nintendo 2DS system with bright orange buttons that comes pre-installed with The Legend of Zelda: Ocarina of Time 3D game at a suggested retail price of only $80. This is ideal for young people who want to be introduced to one of the best games in The Legend of Zelda series on a durable and accessible portable system. This bundle is for sale at various retailers, including Walmart. 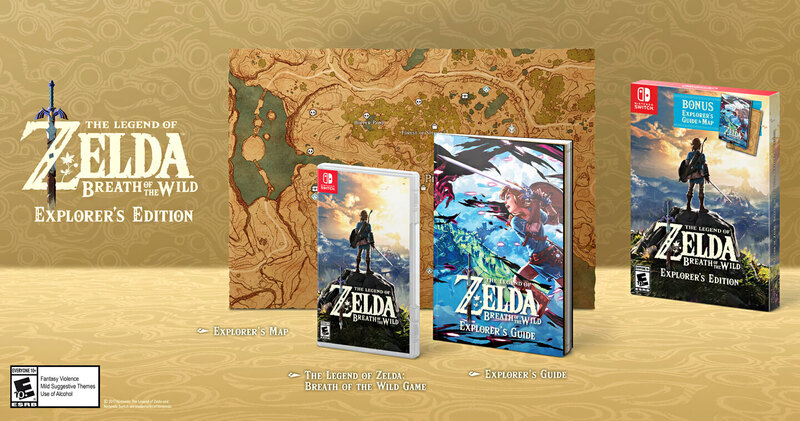 The second is The Legend of Zelda: Breath of the Wild – Explorer’s Edition, a bundle that includes the critically acclaimed and award-winning Nintendo Switch game, a 100-page explorer’s guide and a two-sided map at a suggested retail price of $60. The included guide and map are great for people new to the series, as well as people who haven’t yet had the opportunity to dive into the massive adventure. But this isn’t all Nintendo is offering on Black Friday 2017. In addition to these game deals, many other systems and bundles are currently in stores. These include a Nintendo Switch bundle that comes with the system, a download code for the Super Mario Odyssey game, Mario-themed red Joy-Con controllers and a special carrying case at a suggested retail price of $380. • For Mario fans : A white-and-red Nintendo 2DS system pre-loaded with the New Super Mario Bros. 2 game at a price of $80 (now available). • For Pokémon fans : A Poké Ball Edition New Nintendo 2DS XL system at a price of $160 (now available). • For fans of cool hardware: A white-and-orange New Nintendo 2DS XL system at a price of $150 (now available). • For fans of exploration: A special edition of Xenoblade Chronicles 2 that includes a sound selection CD, a special metal game case and a 220-page hard-bound art book at a price of $100. A Nintendo Switch Pro Controller themed around Xenoblade Chronicles 2 will be available at a price of $75 (both launch Dec. 1).